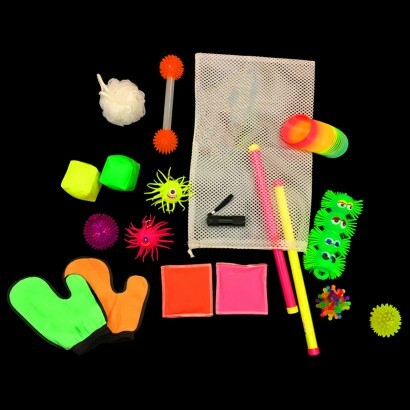 A basic UV starter kit for sensory play, this pack of UV reactive toys contains a variety of tactile, visually stimulating products that fluoresce brightly under UV blacklight. Use the UV torch included to allow the toys to glow enhancing children's comprehension of colour and light with mesmerising effects and encourage touch with their squidgy tactile exterior. Fun and easy to play with, this starter pack is ideal for group play or for one to one play.